Uncharted 4: A Thief's End has been delayed to April 26, 2016. 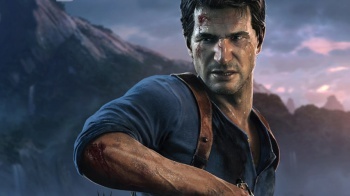 In a post on the PlayStation Blog today, Creative Director Neil Druckmann and Game Director Bruce Straley said that while Uncharted 4: A Thief's End is wrapping up production, the game will be delayed to April 26, 2016. "This is our largest Uncharted game to date, and the team has been working incredibly hard to meet the challenge of closing out the game's development in a timely manner," the directors wrote. "However, as we approached our final deadlines and started wrapping up the game's levels, we realized that several key sequences needed extra resources to bring them to the finish line. After carefully considering all of our options, we decided to extend our schedule, making sure that we get a few more polish passes before submitting our gold master (the final disc for manufacturing)." "Pushing the date is not an easy choice, and we wouldn't do it if we didn't feel in our hearts it's the best course of action for the game," the post continues. "To you, our loyal fans, we hope you'll accept our sincere apology. We know many of you have been waiting patiently for Nathan Drake's final chapter, and now we humbly ask you to wait a bit longer." Uncharted 4: A Thief's End was originally set to release in 2015, but was delayed to March 2016.